Even accounting for duplicate and inactive account logins, collectively, there are 750,000,000+ registered potential users (that’s 750 million for those of you that got dazed by the zero’s) that are spending time online frittering away their lives looking at what other people do and commenting about questions or circumstances that affect each of us. Or so our corporate parents within Corporate Communications, Human Resources, Management or the Executive would have you believe. A quick snapshot of the registered users for each of the below social networks yields some serious numbers. And these are only the ‘big ones’ as cited by Wikipedia’s Social Networking websites list on 25th June 2009. Depending on the medium in question, accessing any sort of social networking website whilst at work is generally construed as a time waster and as such sites like this often get “blocked” by the IT Dept. And in all seriousness, your erstwhile corporate guardians do have a point, as it impinges on productivity and has a monetary cost both from internet bandwidth as well as the loss of efficiency in your staff. However the problem is one of understanding around the use of such networks correctly, both at work and in your private time. I’m constantly taken aback by the number of people who complain about unfair treatment because they’ve blown off some steam and made a comment about their workplace, a colleague or some sort of negative reference to their place of employment, the place they are paid to do a job and act in a professional manner reflecting their organisations values. Since when was blasting out in a public forum considered an appropriate means of self expression and immune to the influence and rules which govern your workplace? You’re asked not to swear, dress inappropriately or be dishonest whilst at work, why is it any different to when you are out of work? There is a massive difference to having a whinge to your buddies down at the pub on a Friday night, verses publishing on the web for all to see, comments about the eating habits of the guy 3 cubicles up, or the appalling dress sense of the girl over in X department. 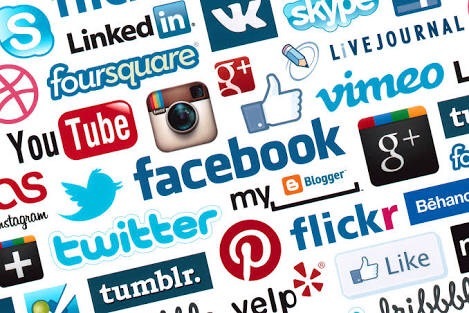 Social Media sites are very important, as has been shown because of the groundswell of popular/negative opinion that can race across your screen with your friends endorsement/derision, your work colleagues recommendation/warding off all driven off just good old fashioned crowd dynamics. Doubly important in recent times, it has become readily apparent that responsible use can yield useful information and influence peoples thoughts and behaviours because of the common thread of what is a “trending topic” emerging for people to critique and access. Responsible use by everyone, both at work and privately needs to be governed by the businesses in the first place, so that employees are encouraged to elicit a sense of responsibility and ownership for their employer and their place within the organisation. Simplistically put, if an organisation respectfully manages the staff, the staff will in turn respectfully manage the organisation. To this end, I often advise business to articulate a clear Social Networking policy, around access, acceptable and expected behaviour with clear guidelines as to the conseqences and outcomes of misconduct. This is no different to 15 years ago when Email started to enter the workplace and personal emails were initially frowned upon. Or 10 years ago when doing online banking. Or 5 years ago when you wanted to book tickets to something. Anyone who has a computer with Internet access in the workplace is likely to have a role where there is some amount of time where they wait for something to complete, are having lunch or doing research online. It is nowadays quite common and reasonably expected that in their lunch break, employees may do some online banking, check the online news or book a movie/aerobics class/plane flights. Access to Social networks should fall under the same umbrella, with the encouragement of responsible usage, behavior and ownership. The other side of this is with an older workforce (think the Baby Boomer or Builder Generations) having to learn the computer skills such as typing and just basic navigation around the computer, if they are encouraged to use it in a social context on their lunch break, there is a very real advantage around increasing their familiarity and comfort level with the equipment. Anyone under the age of 30 will likely use a computer naturally – type quickly, understand basic navigational functionality and key concepts like saving and archiving files. This basic concept of technology use is severely misunderstood by IT Depts and many large organisations and the result is poor productively, decreased efficiency and often cost intensive training programs and “work” endorsed and targetted training. Employers who shift the culture and thinking to use of computers as a tool for getting your job done more quickly and allow access to the spread of social networking functions will reap the benefits of a happier and more satisfied workforce. Employees are a valuable part of your workforce – that is why you pay them. Being responsible adults, structured and clear governance of their access to such facilities with clear guidelines will be reflected in how they treat their role – with a sense of pride and ownership. The ultimate outcome will be a workforce which has less to complain about, and will have a deeper appreciation of their role within the organisation, as critically, they will be offered a sense of ownership and respect within the business. Social Media at work? Yes. With appropriate communication, you will have a happier and more productive workforce, who will feel valued and respected for their contributions.